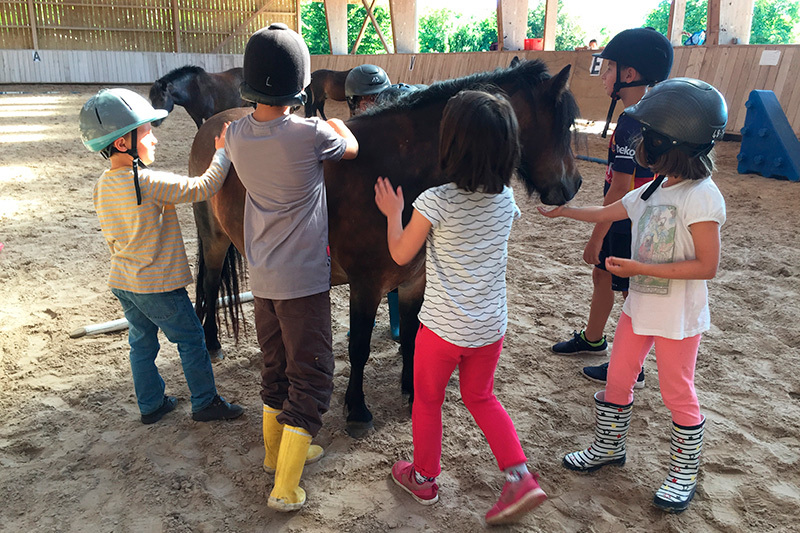 We welcome leisure centers and schools, from kindergarten to high school, for a first approach to (re)discover horse riding with a personalized educational project. Thanks to a docile cavalry a convenient learning situation, progress and pleasure are waiting for you. 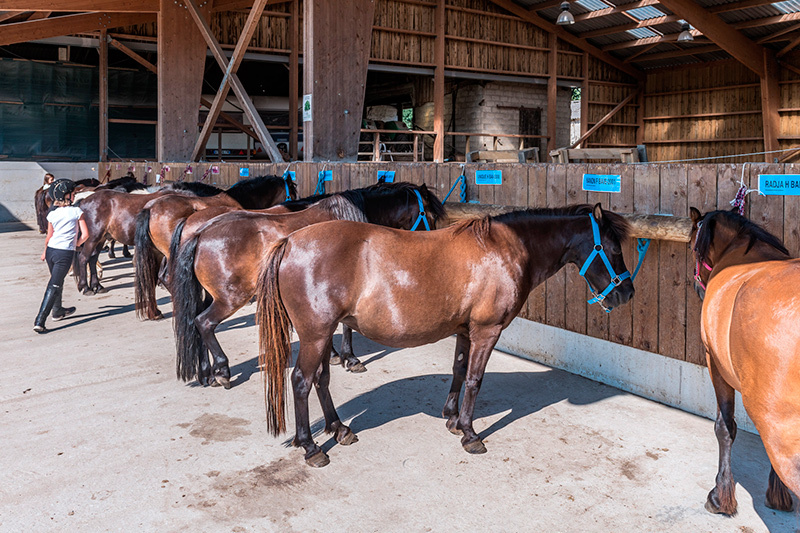 The reception of groups in a suitable setting in complete safety. 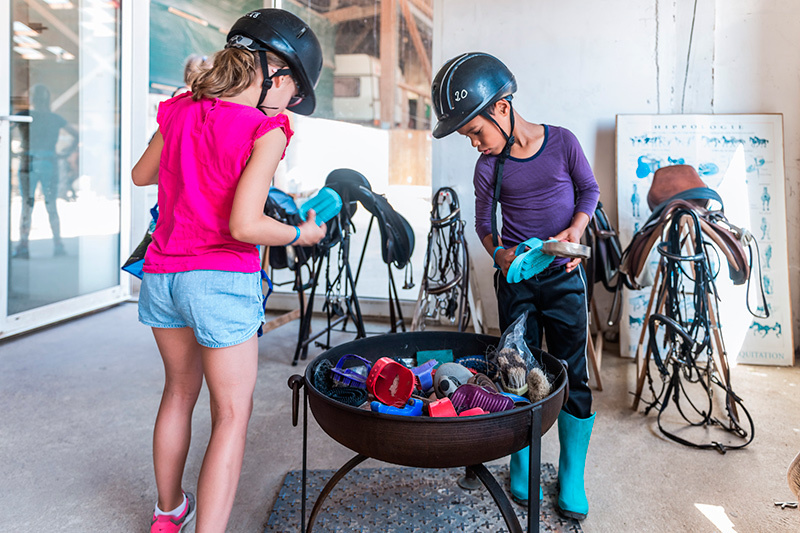 The Mané Guernehué Equestrian Center welcomes school children from kindergarten to high school. 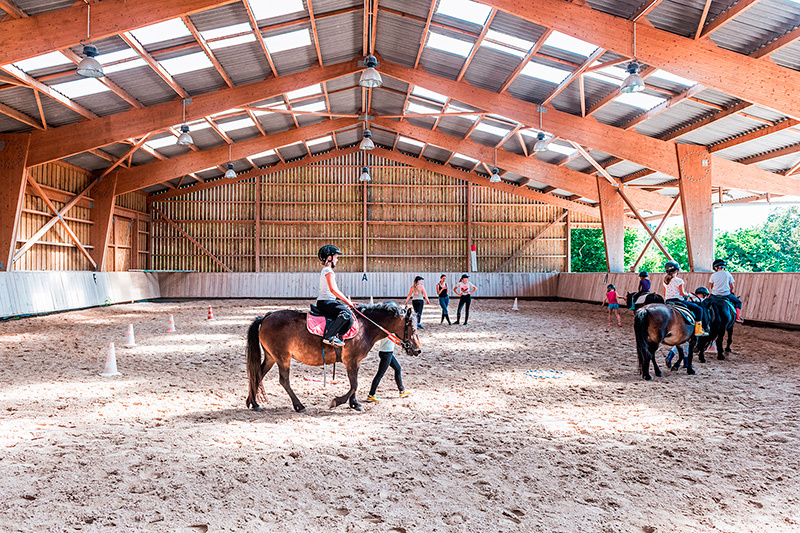 Leisure centers, Youth and Sports services, homes, town halls, associations … are welcome! 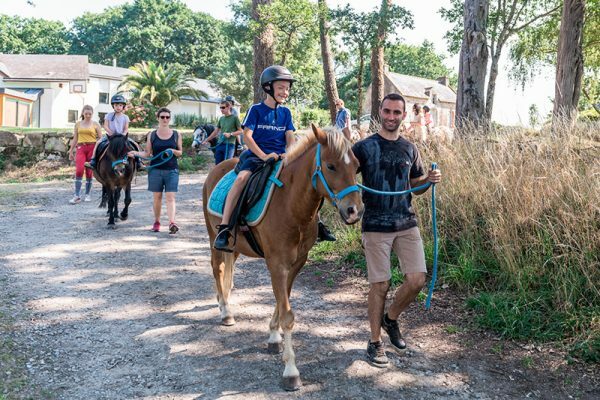 Introduce the values ​​and benefits of riding to your group safely with our quality infrastructure and our docile cavalry for all sizes. Riding brings to a rider both physical and psychological benefits. 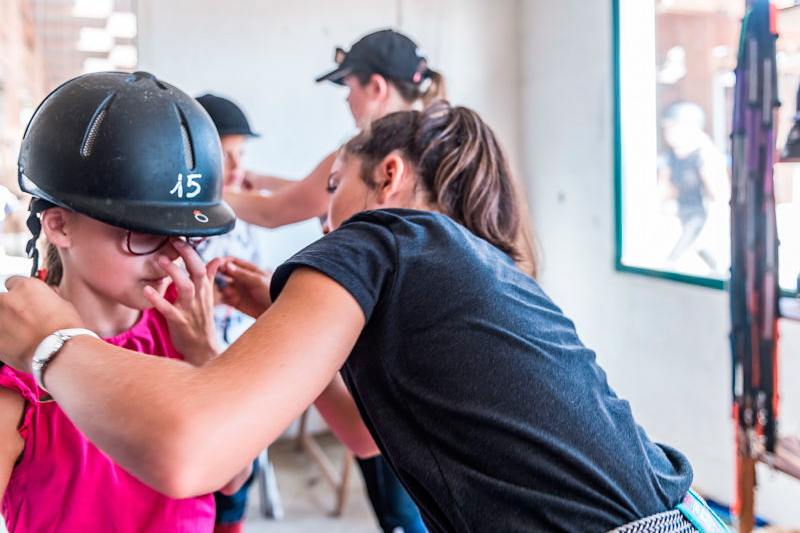 This sport teaches the student responsibility, respect as well as the control of his emotions which gives a well-being, an emotional harmony. 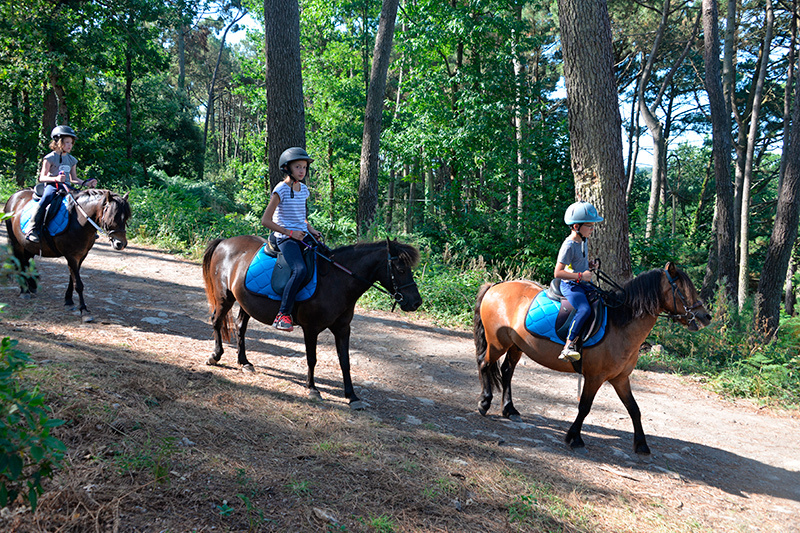 fun and physical activities that improve balance, flexibility, coordinate movements. 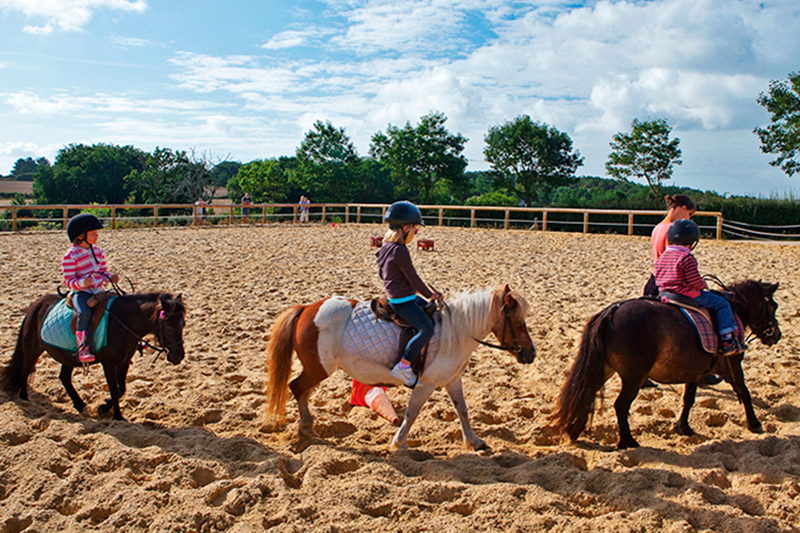 games to accomplish a complicity and a relationship of trust with a horse and a group. A qualified and attentive team. 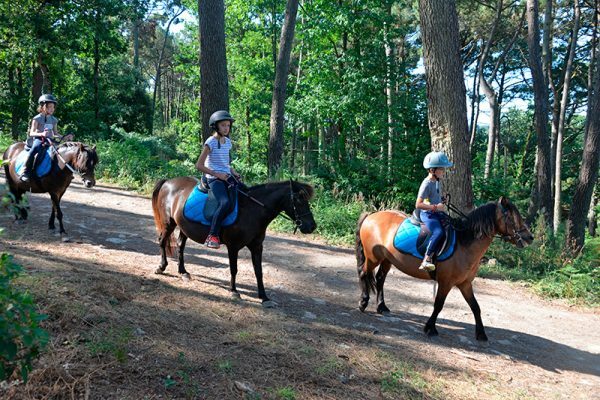 Throughout the year, our instructor Valérie is at your disposal to guide you in discovering the pony and horse riding.